An increasing number of researchers are using state of the art imaging to count cells and to study cellular functions and functionality. We provide fast, easy and accurate digital imaging solutions to help eliminating subjectivity and minimizing human error. The instruments are designed and manufactured by NanoEnTek Inc., a Seoul based company. In 2000, Digital-Bio Technology was started with 10 experts in the lab of Seoul National University. In 2006, Digital-Bio became NanoEnTek Inc. Now the company has grown to over 90 members. Outstanding experts in the fields of biomedical engineering,electronics, chemistry, and optics have developed innovative devices for life science research and point-of-care diagnostics. ⇒ technique. 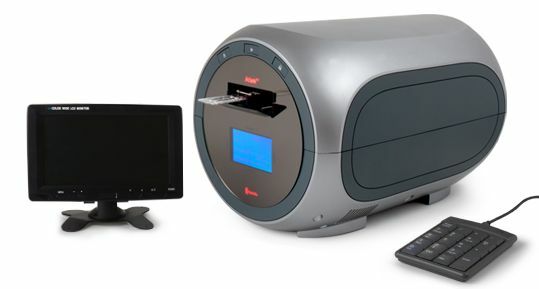 Using the same amount of sample that you currently use with the hemocytometer, the system takes less than 20 seconds per sample for a typical cell count and is compatible with a wide variety of eukaryotic cells and provides information on cell size. ⇒ differentiate between cells in a limited concentration range in the hemocytometer chamber. This combined with the potential problem of cell aggregation and limited sample volume leads to the common variation of counts normally associated with this method. ADAM utilizes sensitive fluorescence dye staining, LED optics and CCD detection technologies to make the cell analysis more accurate and reliable.